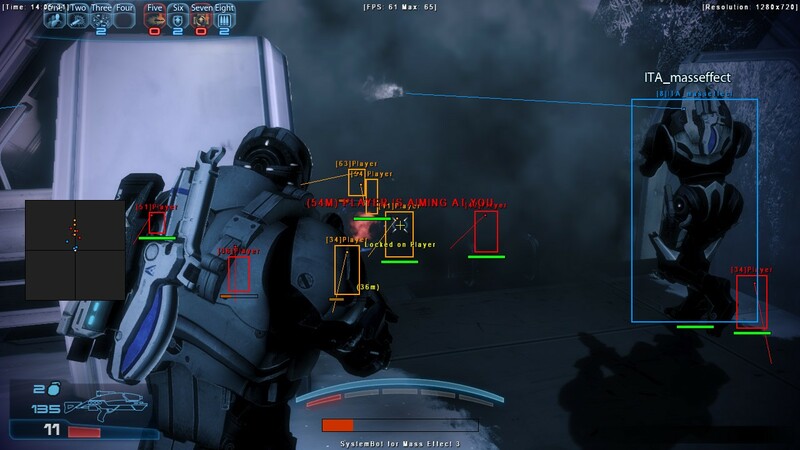 SystemCheats presents you the world’s most powerful hack for Mass Effect 3 with an aimbot! 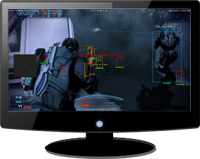 Our cheat for Mass Effect 3 is fully featured with features such as Aimbot, Triggerbot, 3D Radar, 2D Radar and much more. Our aimbot gives you full control over the game, you can rage or play legit like a pro. Our hack is fully customizable for all your hacking needs. For example, you can change the speed that the aimbot aims using Smooth Aim. This way you won’t look like a hacker and yet be the best player in the game. You can limit the aim angle of the aimbot as well. Our 3D Radar and 2D Radar give you a full overview of the map, you will always instantly spot the enemy! Our 2D Radar gives you the ability to see players sneaking up behind you. Even if you have not checked the 2D Radar our Warning System will still help you out by telling you if an enemy is visible, can see you or is aiming at you. You do not have to worry about any anti-cheat either, since our cheat is fully undetected! Always getting angry when the weapon recoil messing up your aim? Don’t worry, our cheat for Mass Effect 3 comes with a No Recoil option, this way you always have high accuracy. Our hack for Mass Effect 3 also has a Triggerbot which will pull the trigger for you! All you have to do is aim on the enemy and the Triggerbot will fire when doing damage is possible. The Triggerbot can also be combined with our Aimbot. This way you will have full control over the game and nobody will ever beat you again! Check out our videos and screenshots below. 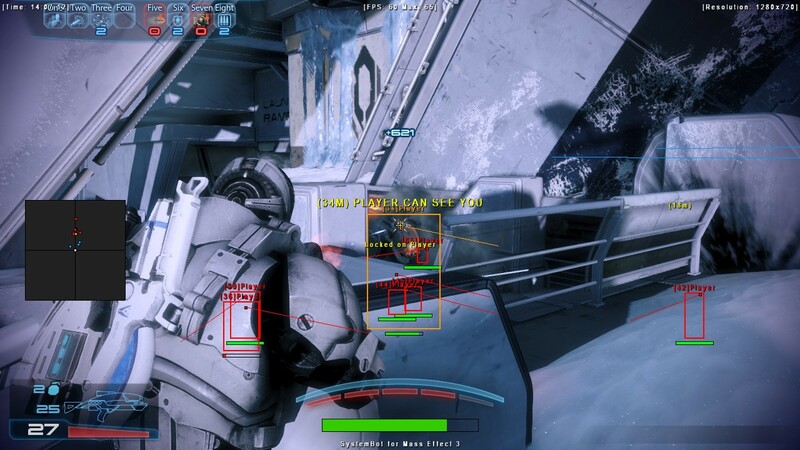 Never lose or die again using our cheat for Mass Effect 3 with an aimbot! We are offering our cheat for Mass Effect 3 with extremely low prices! We also provide our users with packages so you can a bundle of all our amazing hacks and cheats with aimbots. For example, we have the Full Package which contains all our cheats! Don’t wait much longer. Join now and get instant access! This cheat is included for free in all other cheat subscriptions!